I had a great time representing BikerDown at Sturgis 2016! 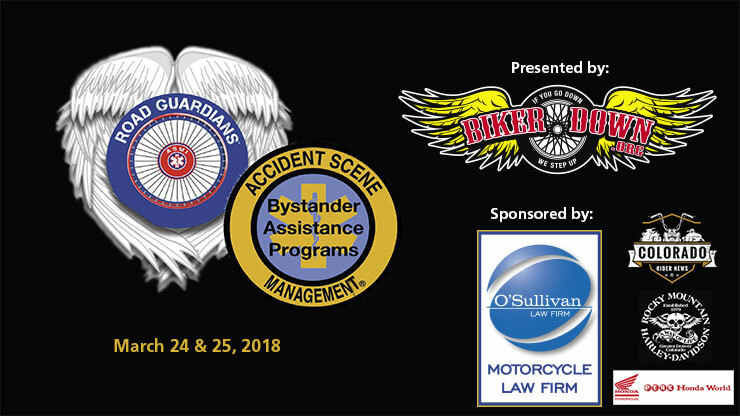 In 16 days, I talked to as many people as I could about BikerDown and I helped as many injured riders as possible. Chomper and I drove out there with a full set of equipment for helping others, including wheelchairs, crutches and walkers. There were fewer riders in attendance than in past years. There were 38 accidents and 9 deaths overall, which is down from last year (probably due to the lower attendance). Good news: none of the deaths were Colorado riders. BikerDown passed out four wheelchairs and four sets of crutches to injured riders. Booth: We had a booth for BikerDown and volunteers helped us talk to people about the benefits of membership as well as the important work that our organization does. Legends Ride: Chomper and I also participated in the Legends Ride and luncheon where we met John Paul DeJoria, co-founder of Paul Mitchell hair products and well-known philanthropist. We also met Tom Berenger, the movie star and biker, and talked to the producer of his upcoming movie, American Dresser, about BikerDown! 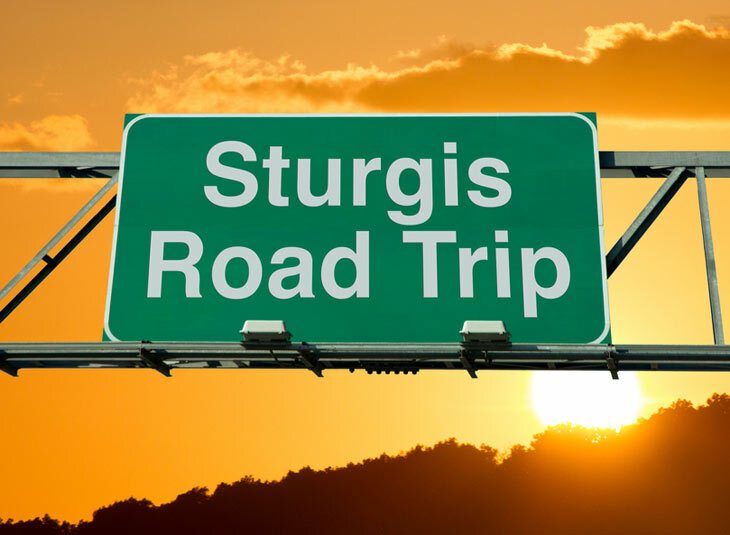 This upcoming movie is about bikers and we’re hoping to participate in a preview of the movie taking place in Breckenridge later this year. Buffalo Chip: I spoke with the owner of Buffalo Chip about our organization and its true nonprofit status. Hopefully there are partnership opportunities on the horizon. Lady Belles: Chomper and I also rode support for the Biker Belles. 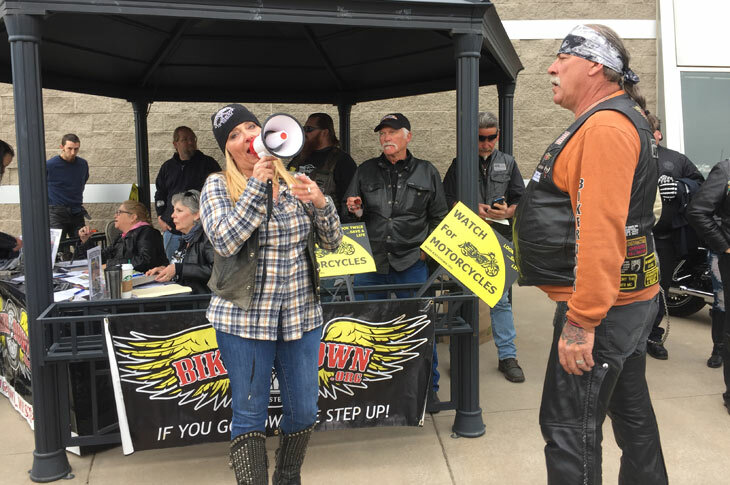 At the end of the event, I asked the women to film quick statements on camera around the theme, “Biker Lives Matter.” We are always trying to raise awareness around motorcycle safety! Full Throttle Saloon: Out of curiosity, I also visited Full Throttle. I was concerned about the future of the bar since it burned down last year but I’m happy to report that a new one is under construction and it’s going to be massive! Basically, I tried to plant a lot of seeds for BikerDown. I literally talked about this organization to everyone I bumped into and I helped as many people as I possibly could. 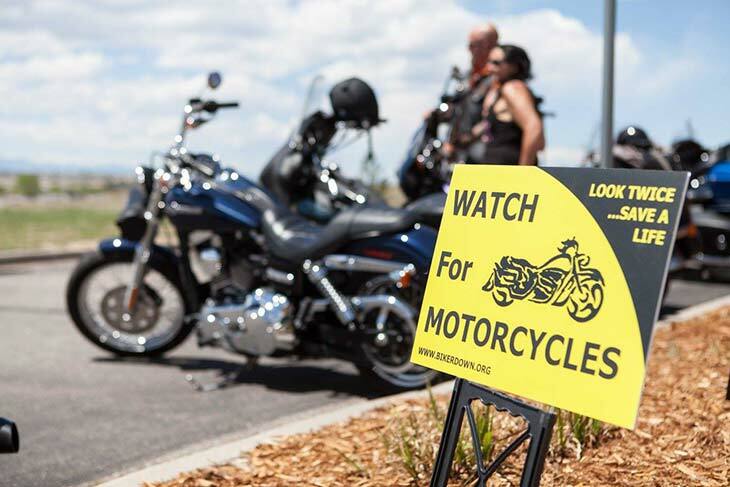 Please consider joining BikerDown, contributing to our efforts and creating a community of proactive riders.